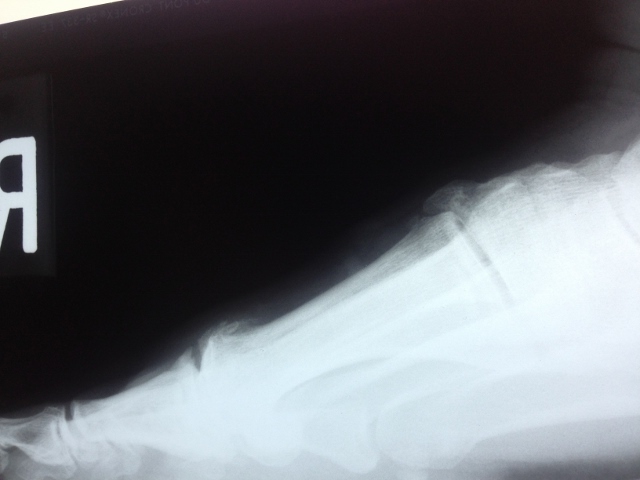 Usually reveal bone spurs on the top of the joint. 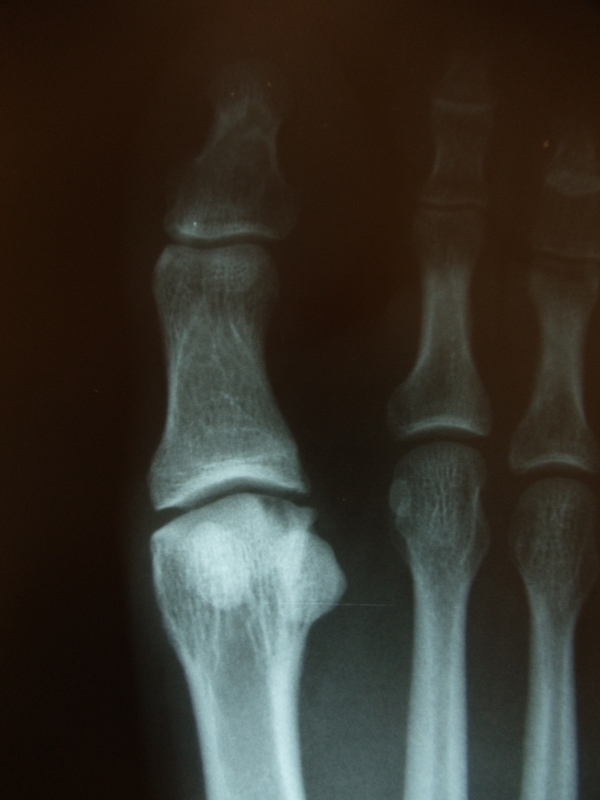 Over time bone spurs progress throughout the joint and there is a progressive loss of joint space. 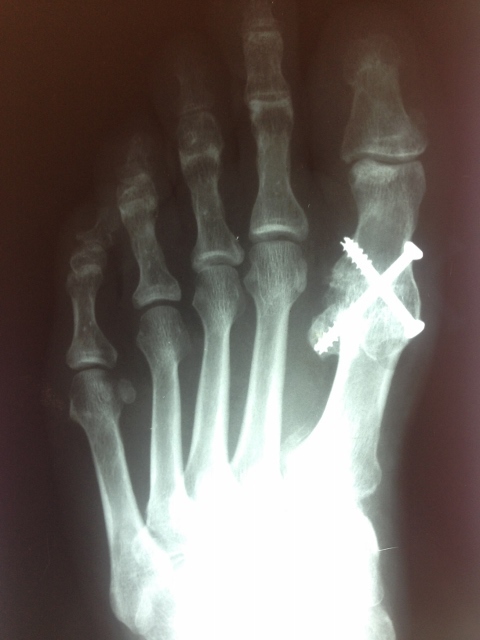 Below is pre operative and post operative x-rays demonstrating severe arthritis of the great to joint (1st MPJ) in a femal patient. 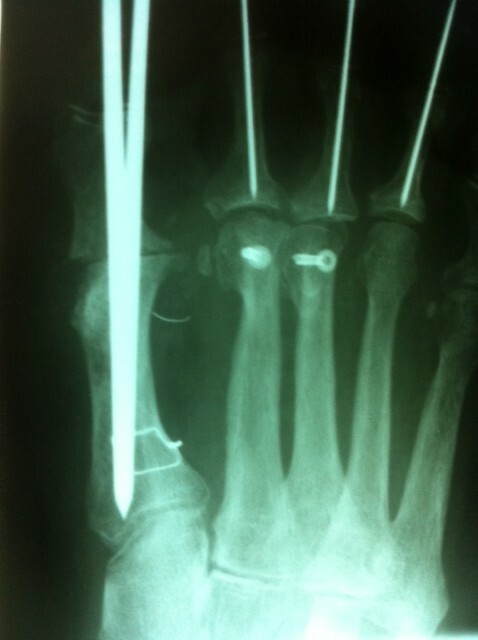 Surgery in this case was performed utilizing two Steinman pins for fixation. 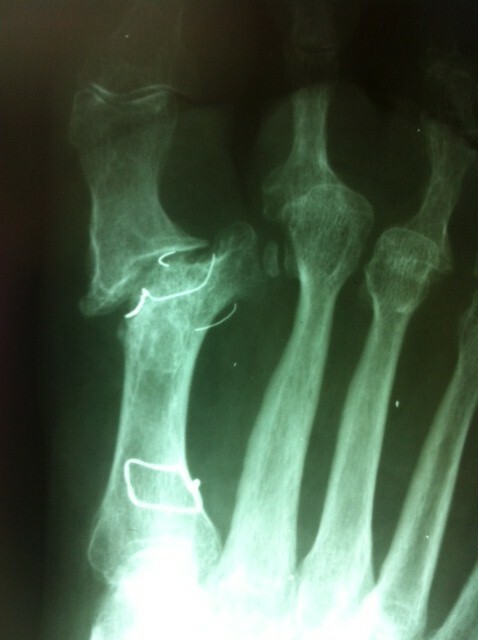 (From left to right) Pre-op, immediate post operative, and 3 months post operative. 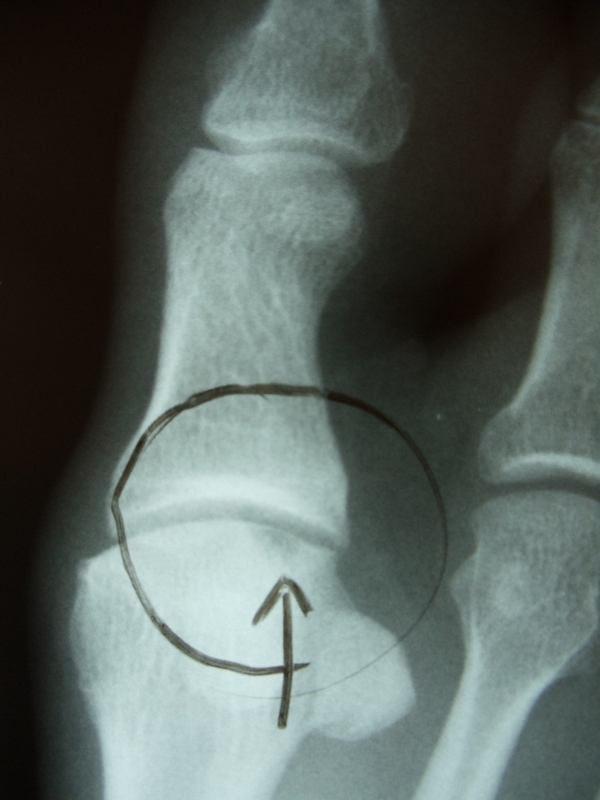 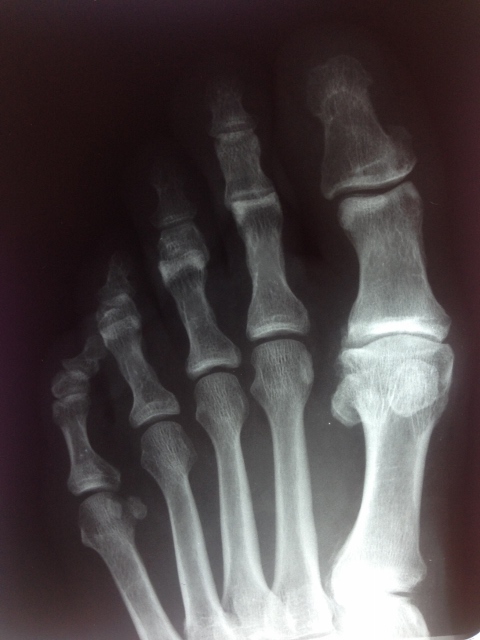 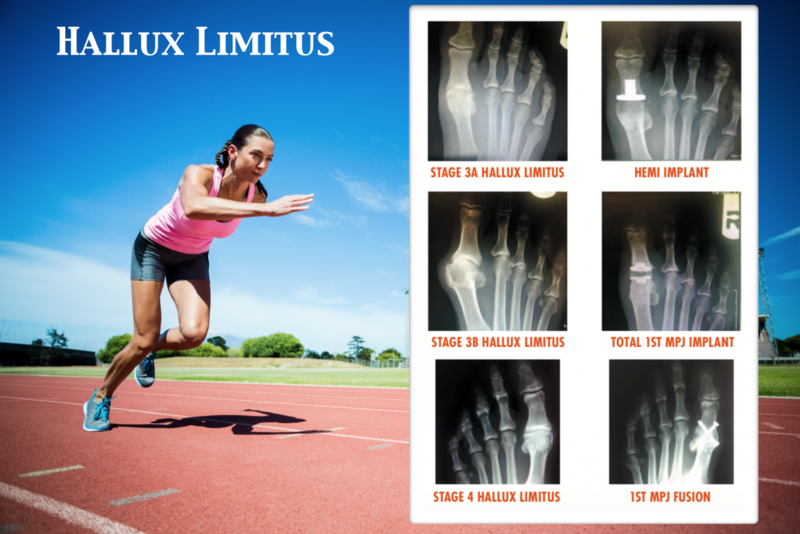 Limitation in the range of motion of the hallux secondary to long-term arthritis results in injury to the cartilage that appears irregular as seen in the image below. 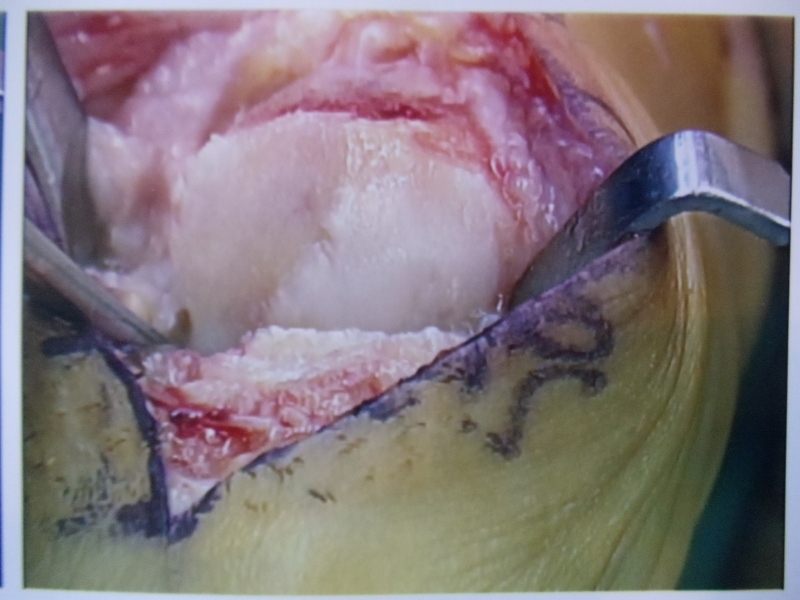 After debridement (removal) of the damaged cartilage from the area, one can see that there was more damage to the area than meets the eye. 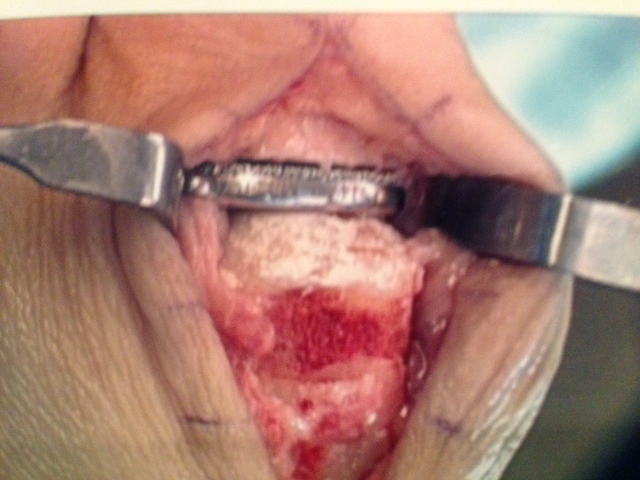 What is left is a large defect in the cartilage and the subchondral bone plate is exposed. 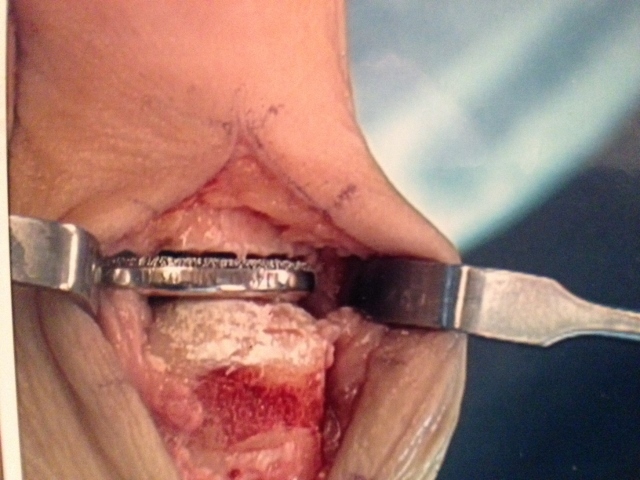 This can be very painful with impact during activity with the adjacent bone in the involved joint. 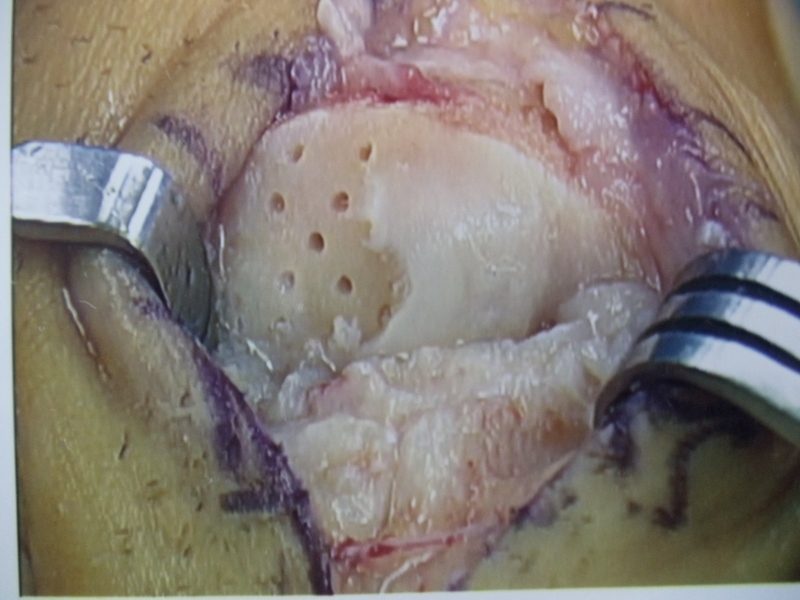 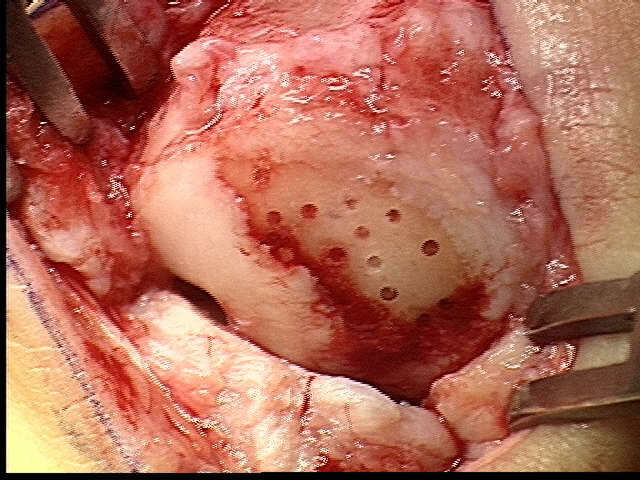 The subchondral bone plate is drilled with holes in order to create active bleeding to the area so that the cartilage will heal itself and replace the hyalin cartilage with fibrocartilage which is the cartilage version of scar tissue to cover the area. 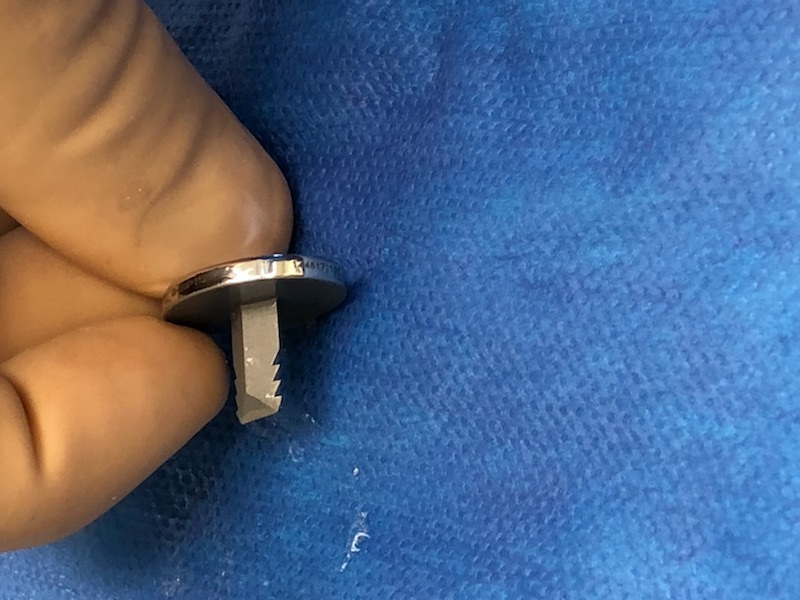 The new scar cartilage is not as effective as the original cartilage but does function well enough to improve the patient's condition. 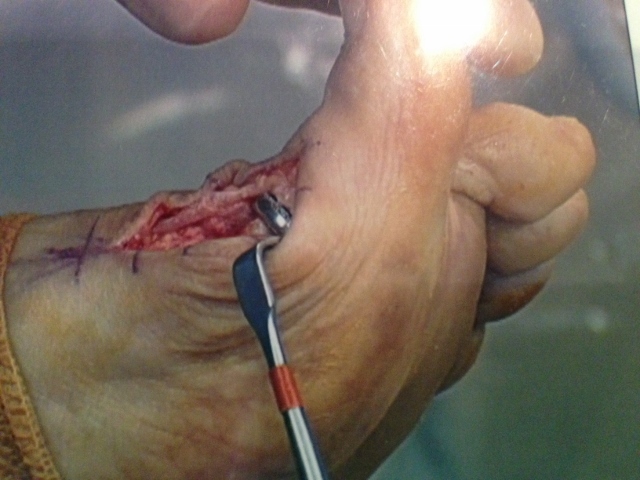 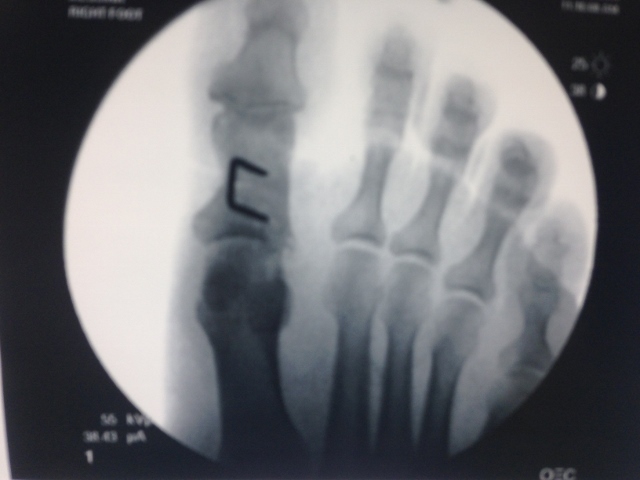 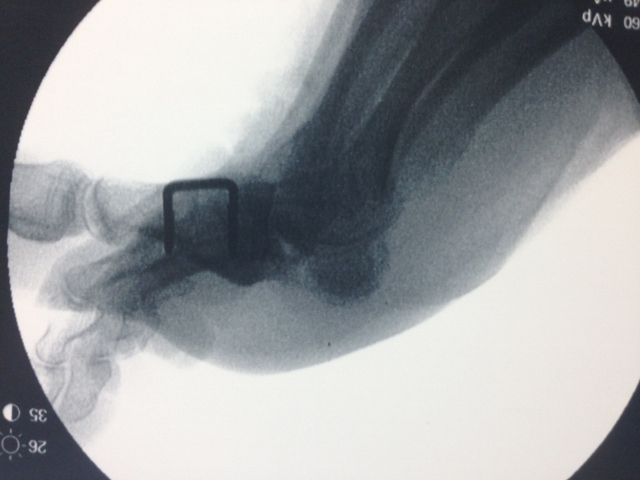 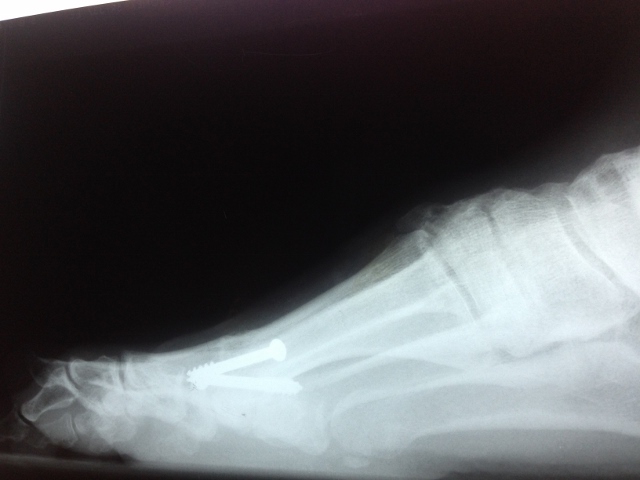 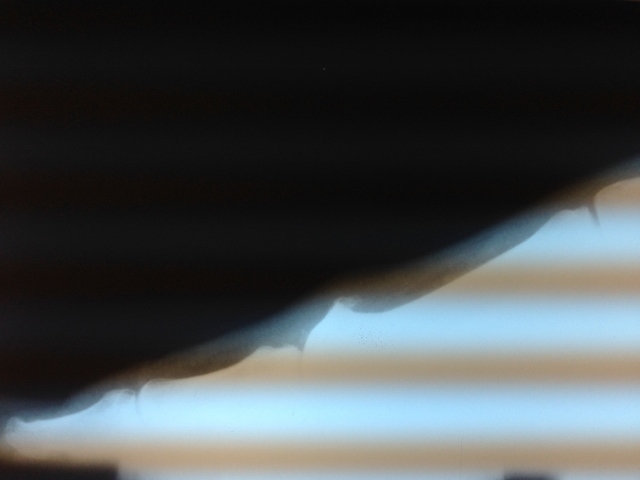 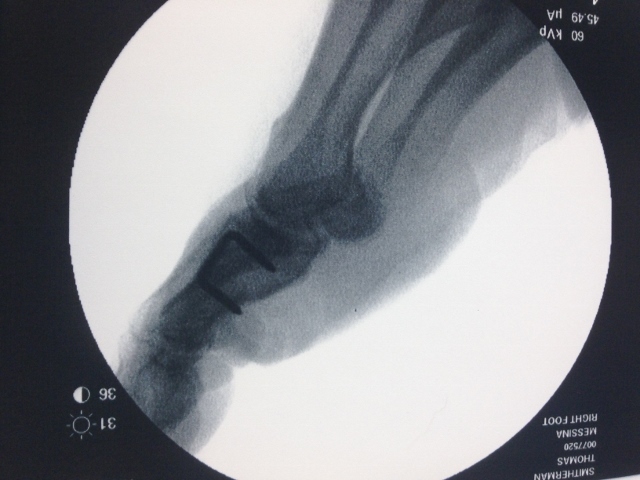 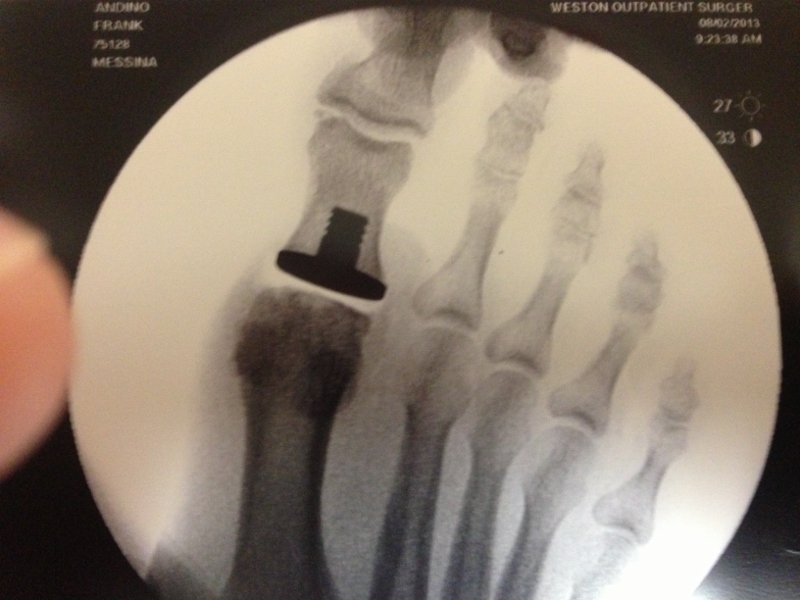 Intraop Picture of spurring and arthritic overhang of the big toe joint. 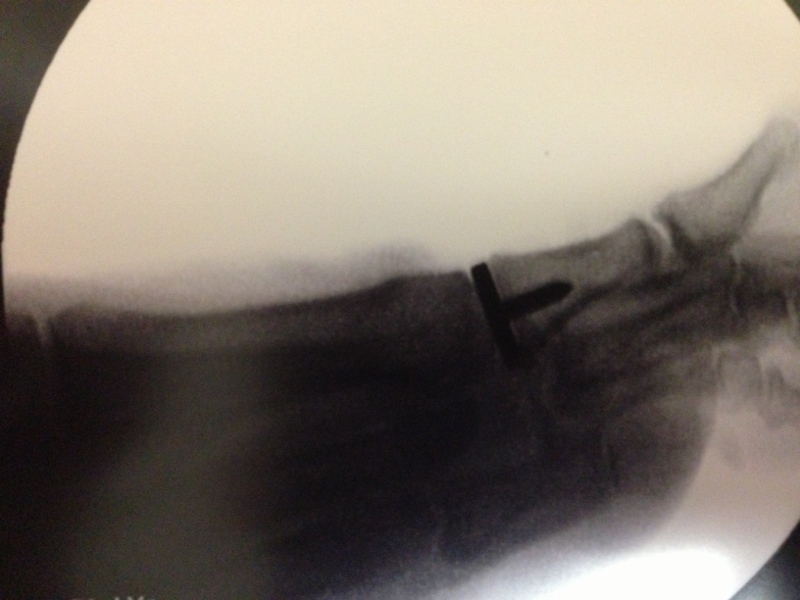 The instrument is pointing at the spur. 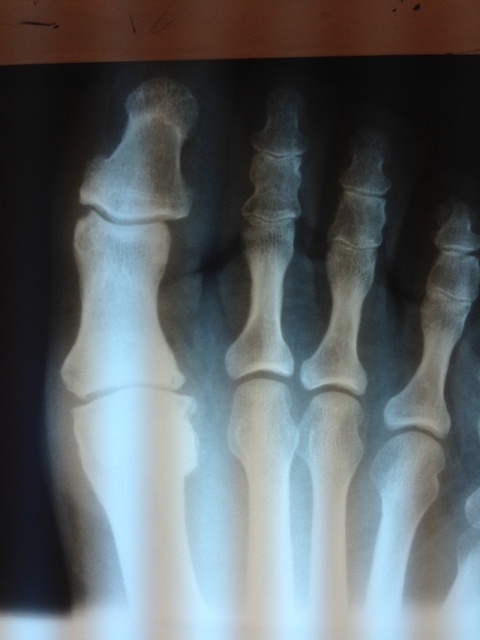 Abnormal anatomical position in addition to increased activity throughout a period of time or in same cases an injury will lead to irregular shaping of the bones around the big toe joint from abnormal wear and tear. 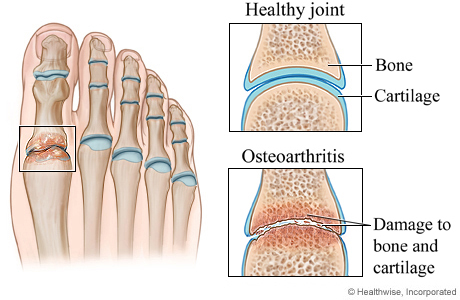 This will cause arthritis type pain with stiffness and swelling. 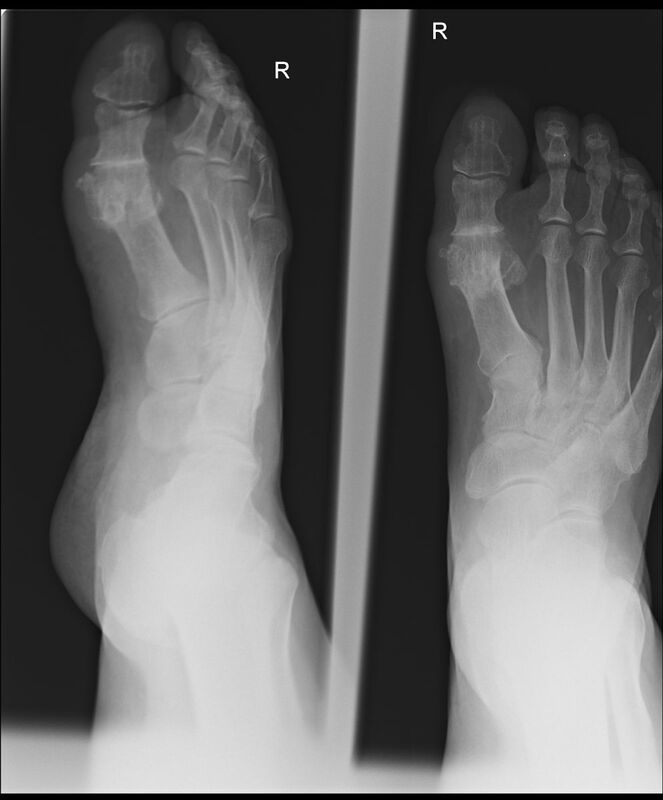 This is a before and after of a patient who had a bunion performed by a different surgeon and developed arthritis of the big toe joint. 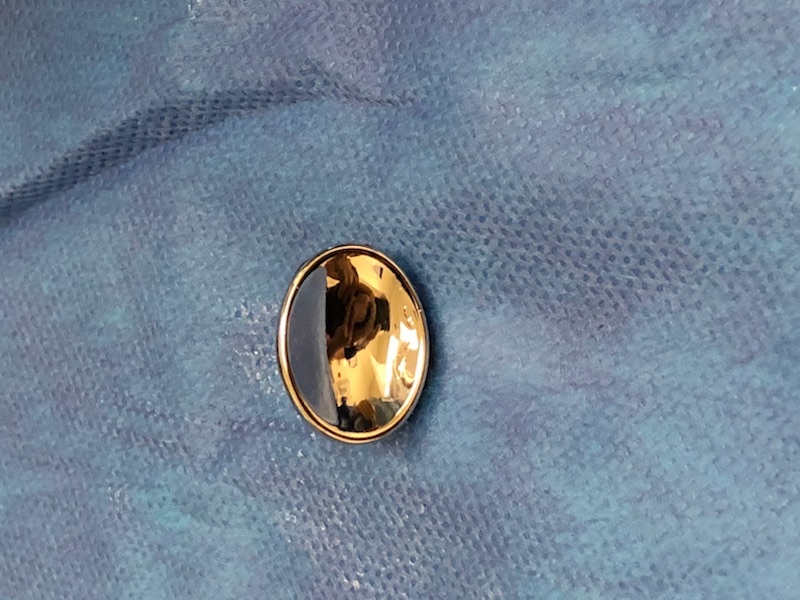 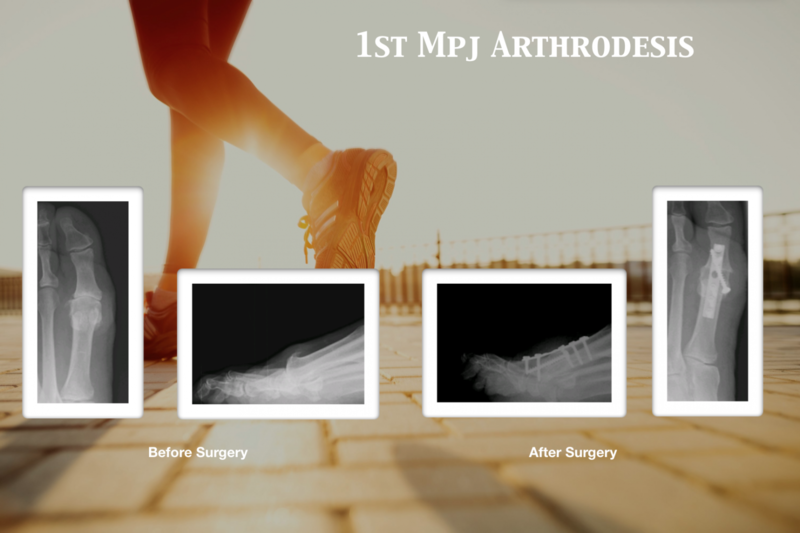 We removed the joint and replaced it with a total 1st MPJ implant.